Initiated in 1995 and with 11 issues per year, GTI Magazine is an English vision magazine in Asia for export trade. It is distributed in 130 plus countries and regions and is with high popularity and maximum publicity effect. Over 20+ years, GTI has moved forward step by step to devote itself to introducing and promoting manufacturers’ products to every corner of the world, so that the products will become more and more well-known and global buyers will be more willing to purchase China-made or even Asia-made high-class games and amusement equipment. GTI always seeks opportunities to bring home-made products outside and aim at every global amusement market to make vigorous promotion. Advertisement in 165th GTI Magazine is coming to meet its deadline. 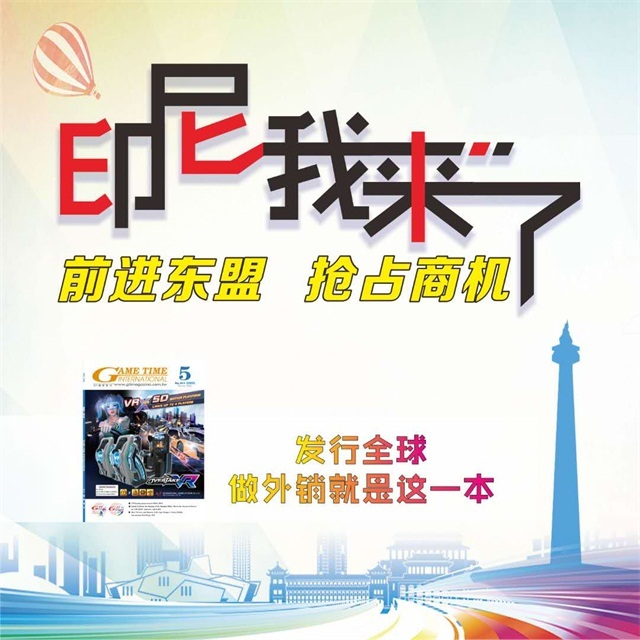 This issue will go to Indonesia Fun Asia Expo and America G2E Expo. We will set booth in booth shows and distribute the latest magazine to do vigorous promotion for our customers’ products as well as GTI expos. We will also actively provide the most overall information of every product and market for global buyers. Welcome all the manufacturers to know more about the information of GTI expos as well as the details of publishing advertisements .